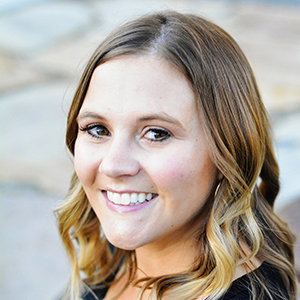 It can be tricky these days to go with a candy Valentine–what with the allergies lurking in kids classrooms. 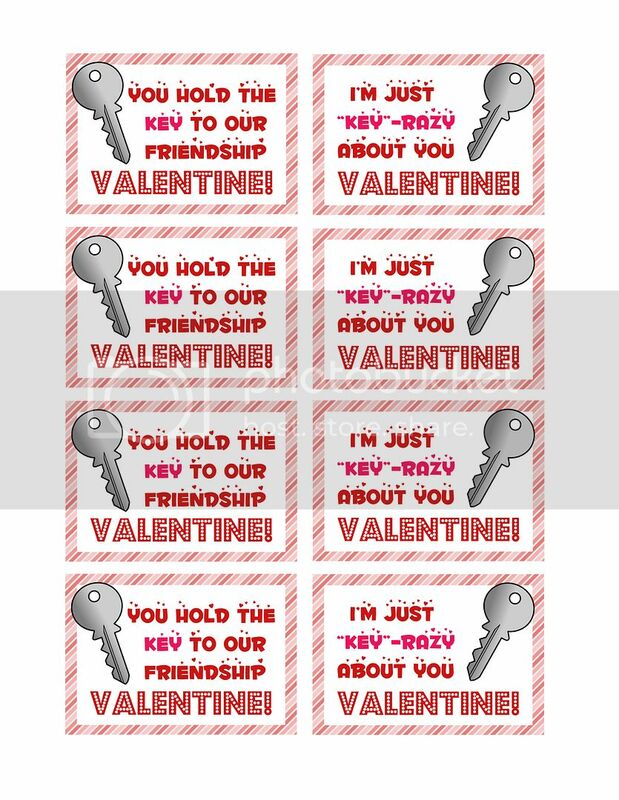 It seems that doing a non-candy Valentine is a safer bet, and most parents probably appreciate it anyway. I’ve seen some really great non-candy Valentines ideas floating around lately and it made me want to come up with my own idea. 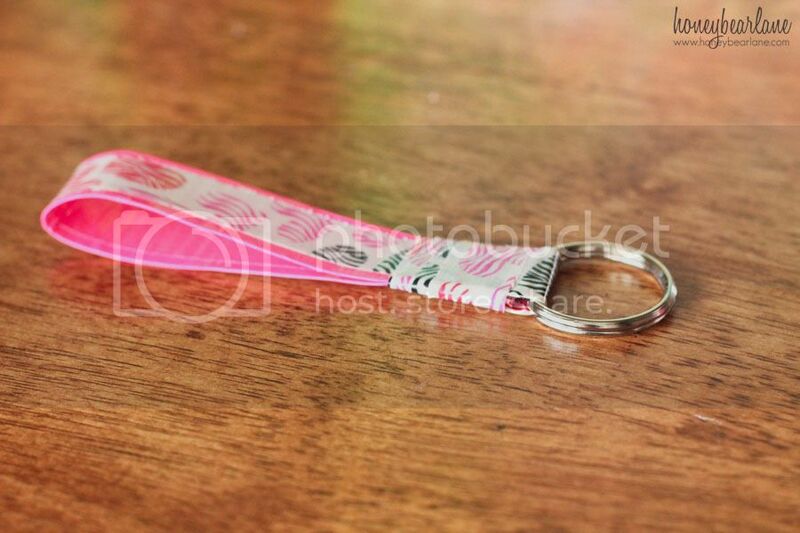 So when Duck Tape® offered to send some super cute Duck Tape® for a Valentine’s Day craft, I knew I could come up with something cute for my kid’s Valentines party–Duck Tape® keychains! These are really easy to make and won’t take long to create the number needed for your kids class. And better yet, if your child is old enough, he or she can make them on their own! And I created a little fun printable to go with it which you can download from here. 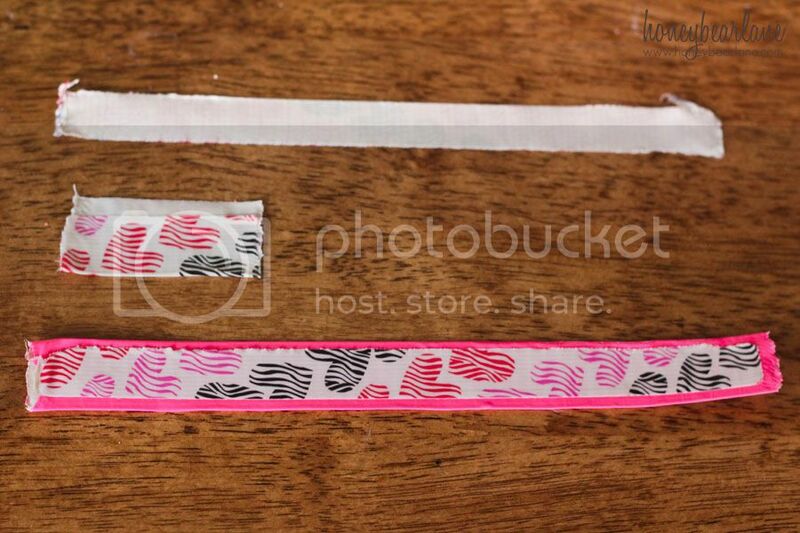 First, rip off three pieces of tape from two contrasting rolls of Duck Tape® (call them Tape A and Tape B.) Tape A will be a piece about 10 inches long and then you fold it 7/8ths up, leaving a little bit to roll back down (so you have two nice edges.) From Tape B, rip another 10 inch piece and then rip it down the vertical into thirds. You will use two of these thirds and save the other third for another keychain. Then rip another piece of Tape B about 3 inches long, folding it up 7/8ths like you did with Tape A. 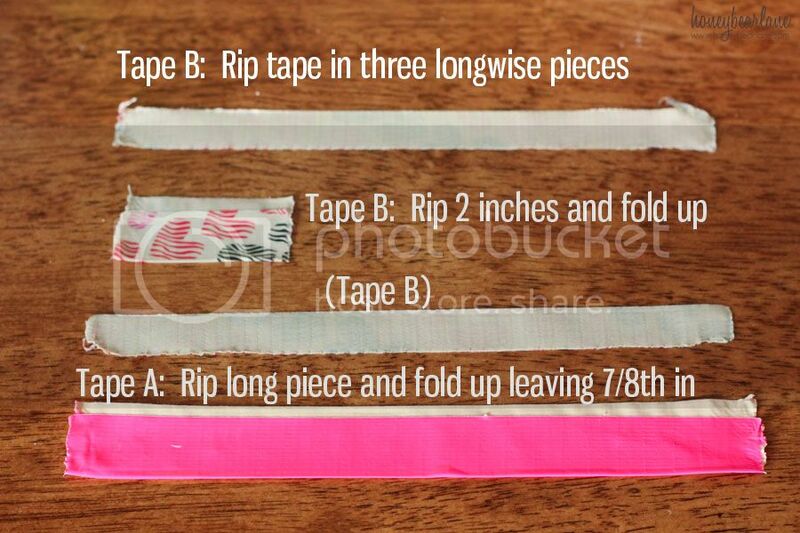 Then you will take one of the thirds from Tape B and center it onto Tape A as shown below. Make a loop with your long piece. 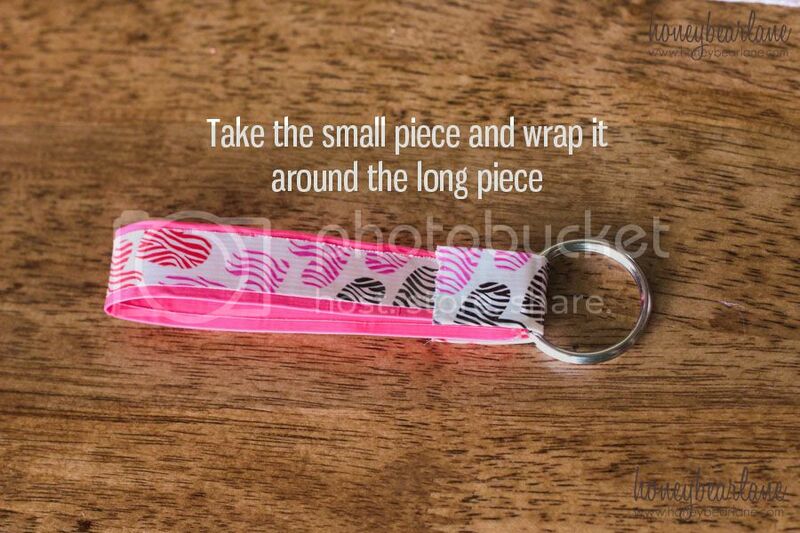 Then take the short piece of Tape B (folding down the remaining edge) and wrap it around the ends of your loop, placing a keyring inside. Finally, take your last third piece and wrap it around the two loops to make them stick together. Wrap it around a few times and cut off the excess. And you’re done! 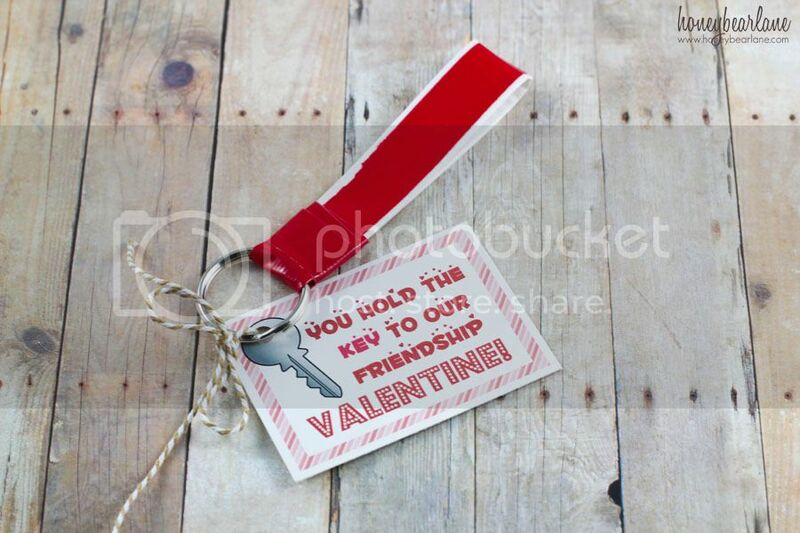 Now just print out the Valentine printable I designed (please use for personal use only) and attach them with some cute ribbon or twine. 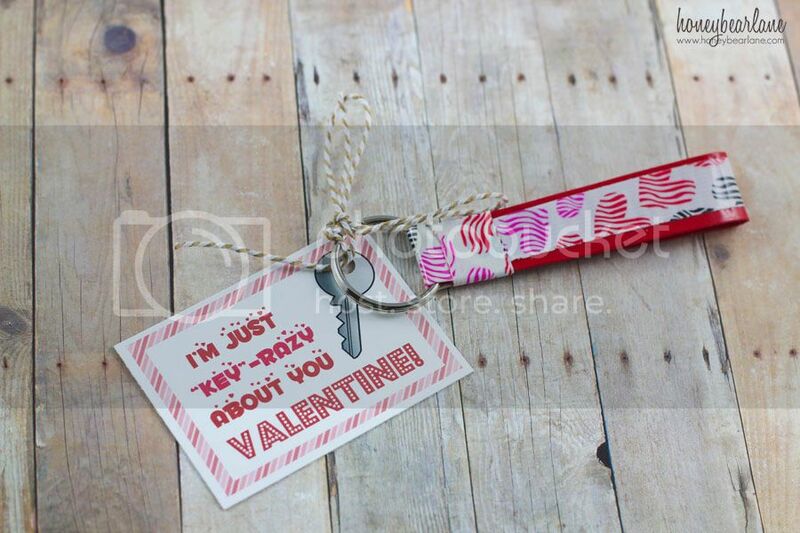 It’s cheesy, yes…but Valentine’s is cheesy right? You really can do anything and everything with Duck Tape® and now that they offer fun holiday patterns and designs, you can make Duck Tape® a part of every holiday! Make sure to follow @theDuckBrand on Twitter for lots of fun ideas and creative inspiration! These are so cute Heidi, thanks for the post. What a cute, simple idea. I’ll have to in this for later use when Hendrik is in school. You always have such cute DIY projects for the holidays. I always share with my crafty friends and their kids, but would love to share on my Facebook page as well.